In the hierarchy of musical priorities, dynamics have often appeared to me to be relegated to fairly low niche and left there to languish, their immense potential for beauty and expressiveness being overlooked and ignored. Even in recordings of professional orchestras, it is not at all unusual to hear a crescendo or diminuendo begin and end without any unified idea of where it is heading. Concerts or recordings where the music making is otherwise of a very high caliber all to often approach the dynamics with far less care and intelligence than other musical matters. Every musician knows what dynamics are and will tell you that when they see an mf on the music, by golly they play mezzo forte! And when they see a crescendo to an fff, watch out, buddy! Crescendos (or crescendi, for our purist friends) seem to bring out a primal Darwinian, survival of the fittest impulse in many of us. If you can do it, e.g. low brass, most percussion, etc., then do it. If you can’t, e.g. low register flutes, middle register clarinets, etc., then get out of the way. It is quite understandable. After all, you flutes and clarinets get all the great melodies and technical calisthenics while we timpanists and trombonists are stuck back here counting rests. So, when we are finally allowed to speak, our voices will be heard! Then to our delight and to the delight of our audiences, excitement happens! Everybody wins, right? Absolutely. The only casualty is the music. I don’t wish to claim any tremendous pre-eminence in this area, but I have listened to what others have to say on the topic and have explored a number of approaches on my own. I also don’t wish to suggest that any of my findings are original with me. Au contraire, anyone with keen musical sensitivities would be very apt to make similar explorations and discoveries on their own. So with your kind indulgence, perhaps we can investigate a few of these principals together. If you find something here that might squeeze your own creative juices, then my fondest hopes will have been realized. If not, then I recommend you demand a full refund from the author. Why don’t we continue flogging the subject of the crescendo for just a moment or two? Most of them seem to have a destination or a specific point in the music when the energy and momentum gathered by it is released in a heightened moment of drama or intensity. Obviously, for the full dramatic potential of the passage to be realized, there has to be general agreement exactly where and when that moment will arrive. If a few people in the ensemble peak on the crescendo prematurely the effect is spoiled, and the audience slinks out of the hall feeling violated and unclean. 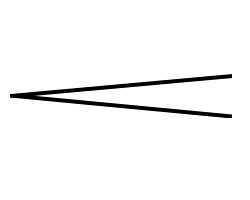 A question that is too rarely asked is, “What should the shape of the crescendo be?” The written symbol has two converging straight lines, yet in most instances, to shape the crescendo like a trumpet bell would be musically and dramatically much more effective, i.e. very little crescendo at first, then gradually increasing the volume, saving the final 50% of the crescendo for the last 10% of the passage. You may wish to experiment with this idea in a few select passages to see if you agree with the results. My guess is that you will be heralded as a genius and promoted at least as high the custodial staff. Another oft-neglected question is, “Who should crescendo when?” May I offer a suggestion here, also? A typical passage containing a crescendo might consist of the melodic material in the upper voices, the harmonic or accompanimental figures in the middle voices, a bass line, and some rhythmic figures in the percussion. If you were to encourage the melodic instruments to begin the crescendo first and the accompaniment to construct their crescendo entirely in support of the melody, but never upstaging it, you will find that the melody will maintain its primacy. Now, if through coercion or perhaps even bribery, you can appeal to the percussionists’ better angels and make them aware of the ever-present danger of premature gesticulation, you may have created the ideal crescendo. If the percussionists save a solid 80% of their crescendo until the last couple of beats before its apex, they will provide the perfect dot for the perfect “i” and prove once again, even to the most skeptical, that, except in certain one-on-one disciplinary actions, intelligence and sensitivity trump brute force every time. It is my fervent hope to continue to lobby for the liberation of the crescendo. If there is any true justice I have recruited you to become a like-minded zealot to this noblest of causes. Any comments about your own glorious victories you might wish to contribute would, no doubt, serve as an enduring inspiration to us all. Carl Hammond Ph.D. composes all sorts of music, plays piano, and as you've seen writes a mean, entertaining article. He's the CEO of http://www.musicalcompositions.net where you can download purchased sheet music for concert bands, choirs, chamber ensembles, jazz groups. See it, hear it, download it, rehearse it. FREE Newsletter and FREE Special Report written by Carl Hammond a 35-year international music veteran. Well written interesting music for your groups to play right now via download. Score pages, MP3s to help you decide suitability.